Drug addiction is a major problem amongst children living on the streets in Jinja, and across the whole of Uganda. The main drug used is called Mafuta (aeroplane fuel) which is inhaled through the mouth. From our research into the reasons why children sniff Mafuta we discovered it is because it stops the children from feeling cold and hungry, makes them feel strong and lessens the pain caused by beatings from other members of the community. It also helps them forget their problems. Through practice based research we have carried out, we estimate that up to a massive 80% of young people living full time on the street in Jinja sniff Mafuta. Of the children we talked to who sniff Mafuta, 77% expressed a desire to reduce their drug intake or to quit, but only 13% believed they were able to do this without support. We also found out that children who are addicted to Mafuta are more likely to remain on the streets longer and find it harder to earn money, so are more likely to turn to criminal acts like stealing to survive. 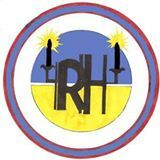 The majority of the children we have spoken to said that they would like help to overcome their addictions and they believe that a specialist Drug Rehabilitation Programme would be the best way to help them. Based on this, S.A.L.V.E. plans to begin its own specialist Drug Rehabilitation Programme for these children. We hope to begin the Drug Rehabliation programme in the spring of 2017. In July 2015, we were happy to be awarded a grant by Comic Relief to carry out research into a range of Drug Rehabilitation Programmes around the world. This allowed us to gather information about different rehabilitation methods used across the globe to develop our own programme, using the best parts of what we have learnt to create the strongest possible programme model, specially adapted for the needs of the young people we are working with. Following our research visit to each organisation a short report was written and a consultation meeting was held in Uganda with some of our stakeholders (young people currently on the street with addictions, young people formerly on the streets, parents of young people who had been on the streets, health professionals and staff from other organisations working with children on the streets), to discuss what was learnt from this particular organisation and how that learning could be adapted to meet our needs in Uganda. San Patrignano is the world’s largest residential treatment community with 1300 residents at the time of writing the report. It was founded in 1978 based on humanist views. San Patrignano offers a programme of rehabilitation, skills training and full social reintegration and is completely free of charge. The rehabilitation programme takes 4 years and the treatment provided is a combination of educative and rehabilitative elements. It is person centred and focuses on the special needs of each individual. Every person’s journey through the programme is different as it is adapted to their individual requirements. You can download our short research report from San Patrignano here and the brief notes from our stakeholder consultation meeting about how these methods could be used to form our own Drug Rehabilitation programme for young people who have been living on the streets in Uganda here. 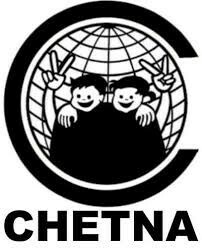 CHETNA was founded in 2002. They believe that the best way to develop a child caring system and society is through empowering the most excluded and vulnerable children, including street and working children. In 2010, CHETNA began running a daytime centre for children who use dangerous substances, to help them to reduce their substance intake, near an identified location of high substance use in Delhi. Due to the success of this project, this model was then replicated in Agra and Jhansi districts with the help of a Comic Relief and Hope for Children supported project called Realising Rights. Up to 200 children are registered to attend each centre, both boys and girls, though some children attend more regularly than others. You can download our short research report from CHETNA here and the brief notes from our stakeholder consultation meeting about how these methods could be used to form our own Drug Rehabilitation programme for young people who have been living on the streets in Uganda here. In Uganda, we wanted to learn more about current addiction treatment options, as well as starting to understand the scale of drug use by children on the streets in other parts of the country. We visited mental health units at hospitals across the country. In most cases, this is where people with Drug and Alcohol addictions are referred and treated. Most programmes were just 2-4 weeks, treating patients through the withdrawal process only. We also visited one centre offering private rehabilitation and a charity who have a rehabilitation centre for men with addictions as well as doing a lot of community outreach. Most of the programmes used peer-to-peer mentoring to support their work and believed that this was of upmost importance. We also visited other organisations working with children on the streets in Uganda to discuss the challenges they face with regards to children’s drug use and how we could partner once our Specialist Drug Rehabilitation Programme was up and running. You can download our short research report from Uganda here and the brief notes from our stakeholder consultation meeting about how these methods could be used to form our own Drug Rehabilitation programme for young people who have been living on the streets in Uganda here. The Narconon drug rehab programme is based on the humanitarian research and discoveries of L. Ron Hubbard. Narconon has been operating for over 50 years. In 2015, the programme was operating in more than 47 countries. Narconon South Africa started in 1975, then shut down and reopened in 1992. Currently Narconon in Africa offers rehabilitation services in South Africa and Egypt, and drug education services in Zimbabwe, Nigeria, Ghana and South Africa. The programme aims to address both the physical aspects of why a person craves drugs and the emotional and mental aspects of why that person started on the road to addiction. The programme also trains the person in life skills that they can use to live a healthier and more productive life. You can download our short research report from Narconon here and the brief notes from our stakeholder consultation meeting about how these methods could be used to form our own Drug Rehabilitation programme for young people who have been living on the streets in Uganda here. Action on Addiction is a registered charity formed in April 2007 through the merger of three organisations. Their vision is ‘people free from addiction and its effects’. Action on Addiction has treatment centres throughout England and runs a specialist programme which provides support for families of people with addiction. They provide abstinence-based 12-step residential treatment and structured day treatment. You can download our short research report from Action on Addiction here and the brief notes from our stakeholder consultation meeting about how these methods could be used to form our own Drug Rehabilitation programme for young people who have been living on the streets in Uganda here. Following on from our global research, we are now in the process of finalising the plan for our own Drug Rehabilitation Programme. Each of these organisations have very different ways of working and we are looking to combine the best and most relevant parts of each method to create our own programme that will be most suitable for the young people we work with in Uganda. We presented our initial plans back in a final stakeholder meeting in January and you can read the brief notes from that meeting here.